Burgers are the ultimate comfort food pretty much anywhere in the world. Sure, a big, juicy burger might be messy, and it will obviously cancel out all the hard work you did at the gym, but sometimes what’s bad for the body is precisely what the soul needs. 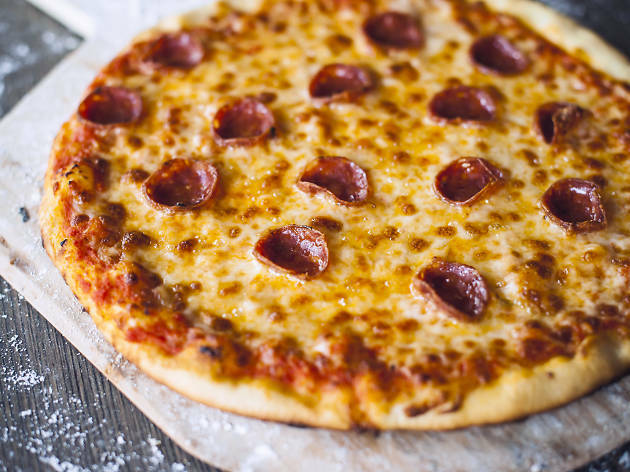 RECOMMENDED: Give protein a pass and carb-load to your stomach’s delight at the 12 best pizza restaurants in Hong Kong. 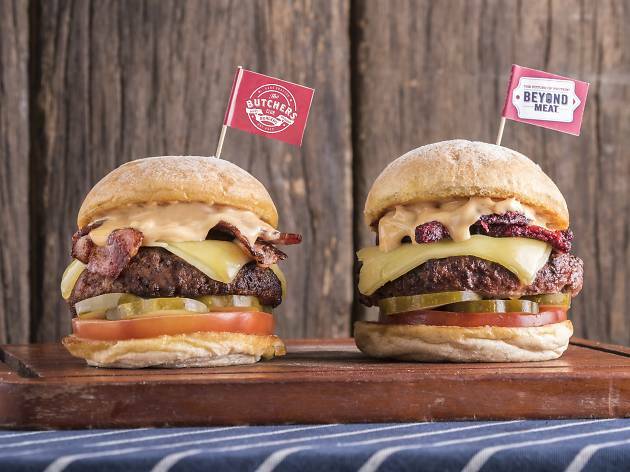 Led by Chef Uwe Opocensky, who previously ran the show at the Mandarin Oriental Hong Kong, Beef & Liberty makes burgers that leap off the menu at you. 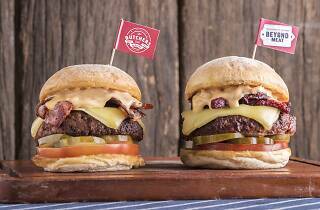 There are nine in total, ranging from the classic cheeseburger to the chilli-laced El Cabrón – Spanish slang for badass – to the Notorious PIG, which is, appropriately enough, made with pulled pork. Don’t pass on the bacon cheeseburger, though. 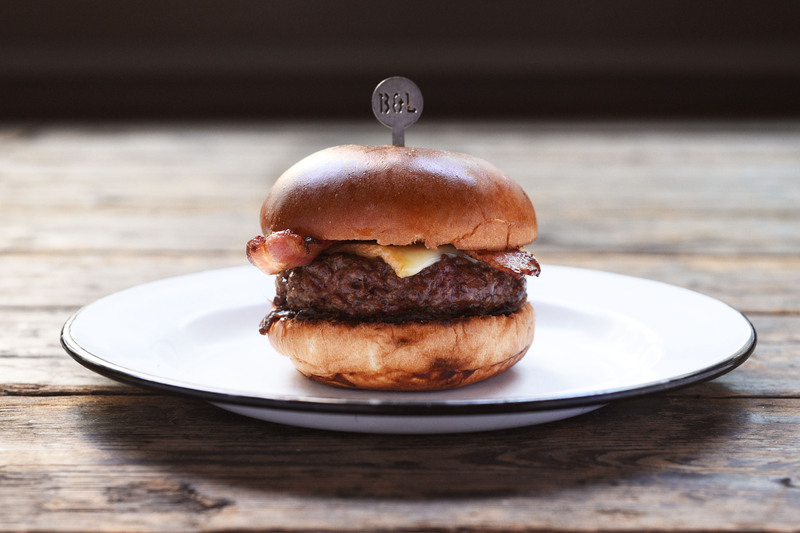 Topped with Dingley Dell bacon, creamy raclette cheese and caramelised onions and finished with two home-baked buns. 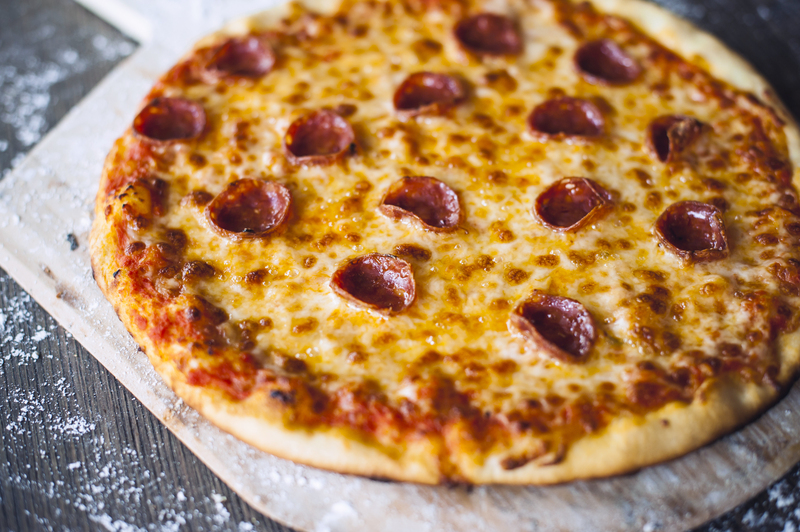 It sounds simple, but it’s oh-so rich. It pays to drop by occasionally to check out the specials, too. Recently that’s been The Curly Pig, featuring a patty made with Mangalica pork, and the surf-and-turf lobster burger. The Lot on Possession has over a dozen burgers to try, including an Indian-inspired minty lamb burger and a pulled prime beef burger with crispy eggplant. Aussie wagyu is the beef of choice, however, and every patty comes in at a hefty 250g. The char the grill gives the burgers adds a smoky touch too. Feeling particularly peckish? Test your limits with the signature Grand Burger ($328). 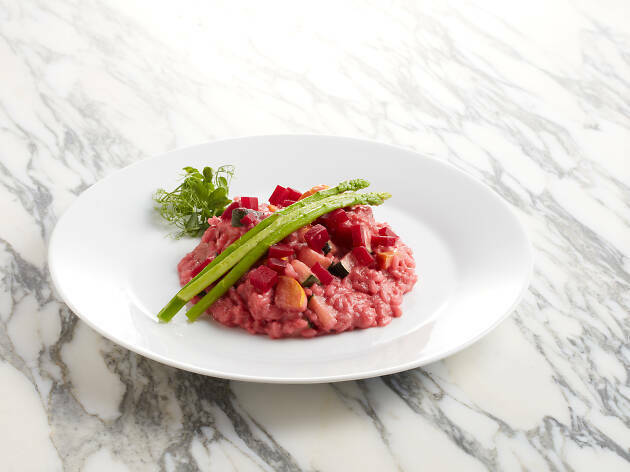 It has no less than twelve layers of ingredients and is 25cm thick. In other words, good luck. 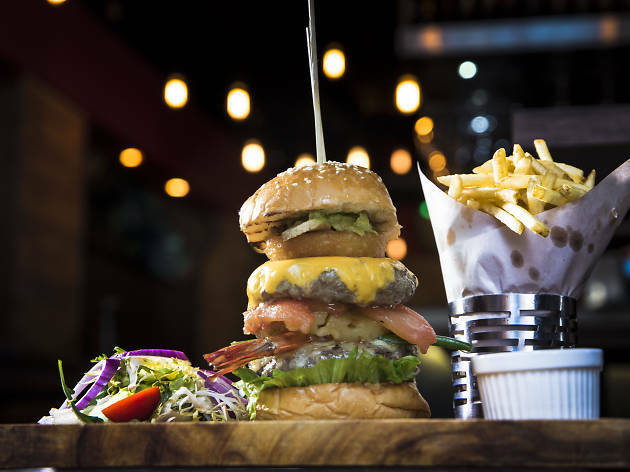 But when you do find a way to fit your mouth around this monster, you’ll be treated to double-grilled wagyu, grilled tiger prawns, onion rings, French beans, guacamole, pineapple, mushroom, herbed mayo and more. 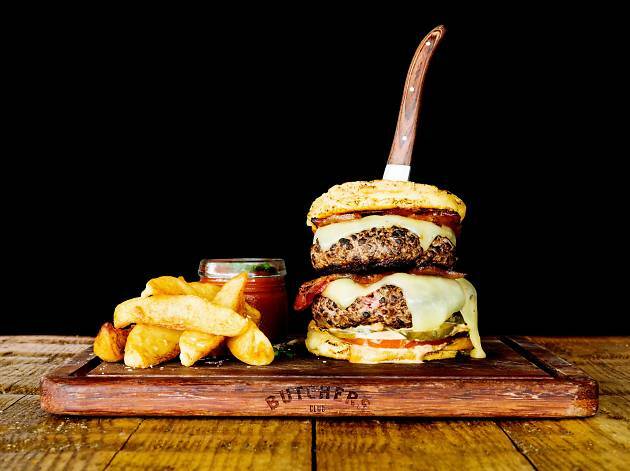 It’s actually meant to feed two or three people, but if you can finish this bad boy solo, you’ll get it for free. Top Blade may be best known for its flat-iron, but the restaurant’s reputation for meaty mastery means its burgers are as scrumptious as its steaks. Try the signature TB burger ($78). The patty is made of a few premium cuts – flat-iron, prime chuck eye roll and more. The burger is perfectly browned on the outside and succulent inside. 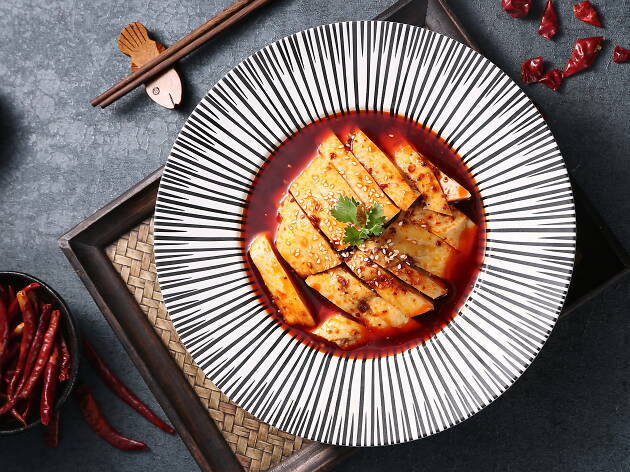 Served with gooey cheese and red wine onions, and dressed with a secret sauce made from mayo, mustard and apple vinegar, the flavour is out of this world. 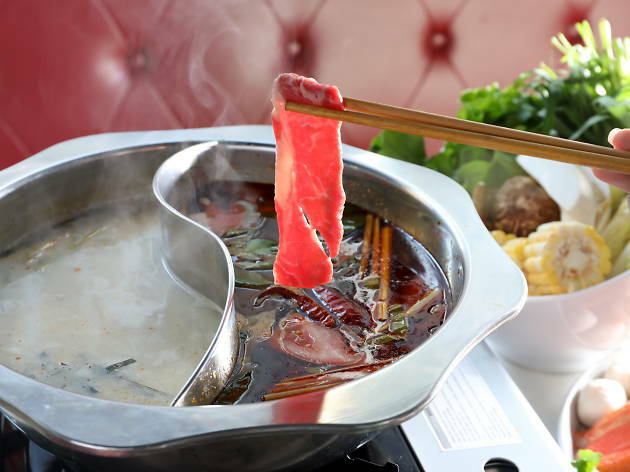 Just around the corner from buzzy Star Street, Honbo fits right in to the neighbourhood. The blue and white walls give off a Santorini vibe during the day while the neon accent lights scream ‘Hong Kong’ at night. So it should come as no surprise that burger lovers pack the place on the weekends, grabbing whatever spots are available at the shared tables. It’s all about quality over quantity at Honbo. 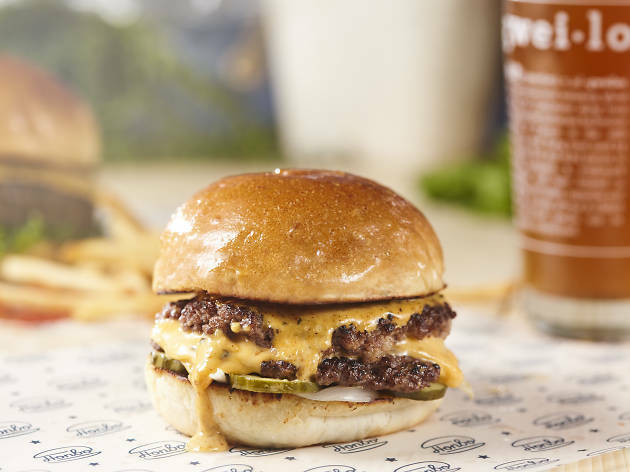 From the cheeseburger to the chicken burger and soft shell crab burger, every element – patty, bun, sauce – is made in-house. Not to mention the veggies come from Yuen Long and the potato milk bun comes from a bakery just 15 minutes away from the restaurant. 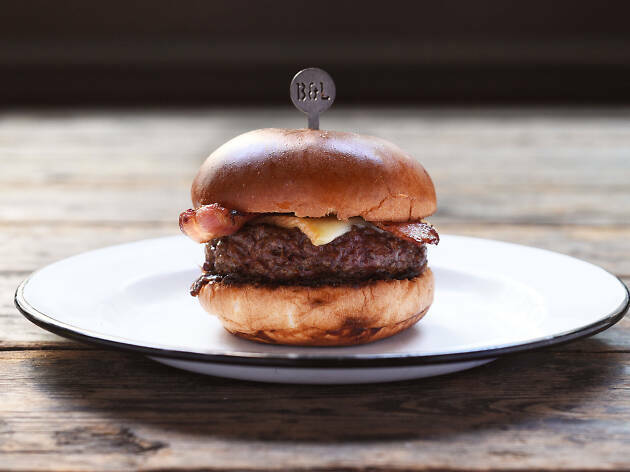 The beef burgers, featuring a combination of local brisket and US chuck, are meaty with a bit of umami and are flat-out delicious. 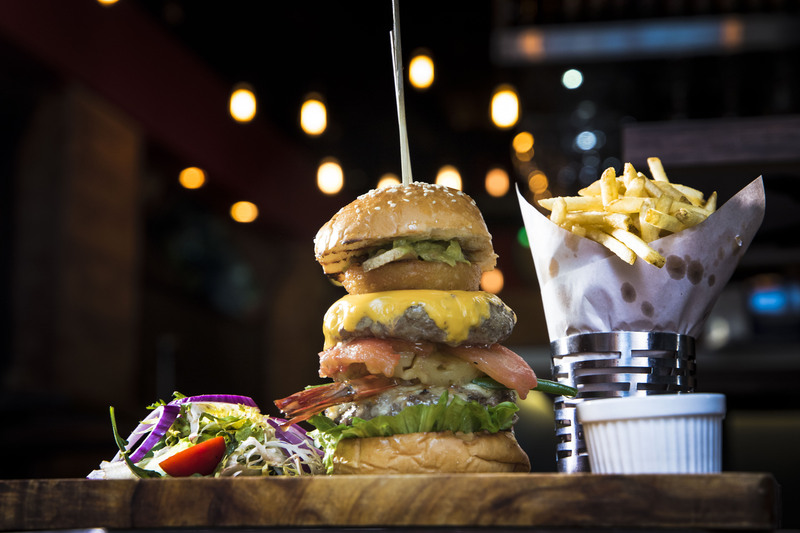 What started out as a place for passionate chefs and butchers in Aberdeen has evolved into one of Hong Kong’s premier burger joints in Wan Chai (there are branches in Central, TST and Quarry Bay, too). The beef is ridiculously high quality here: 100 percent all-natural, grain-fed Australian beef, dry-aged for 21 days, mixed with rump, chuck and brisket. There are nine burgers on the menu, but make sure to try the Double Happiness ($180) – twice the patties, twice the cheese and toppings that include tomatoes, pickles and maple bacon. 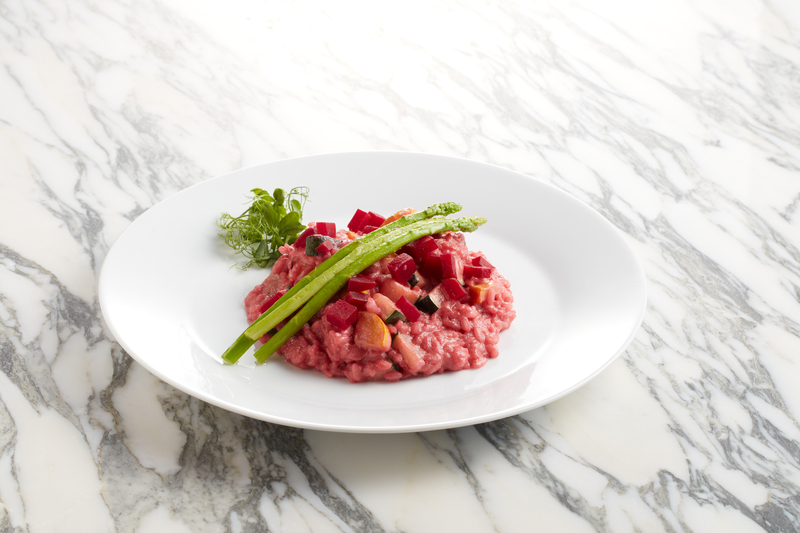 Pair it with crispy duck fat fries and you’ve got pleasure in its purest form. Bitters & Sweets might be a misnomer. 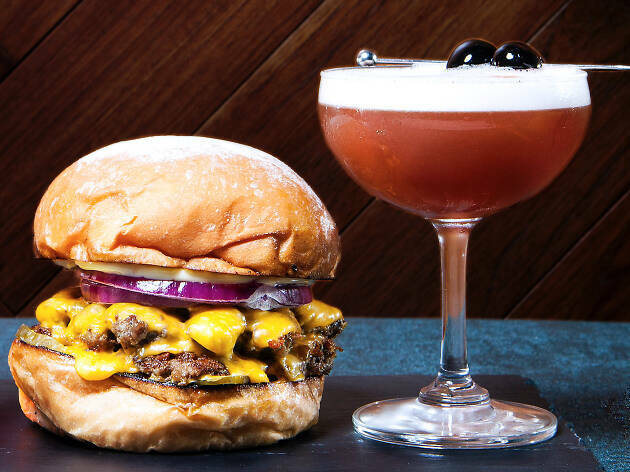 This popular LKF cocktail bar has made waves with its cocktail and burger pairing. That’s right. Beef and booze. For an introduction to this novel concept, try the BAS Double ($118). The restaurant follows the golden rule of burger-making, using a roughly 70-30 percent lean-to-fat ratio of American beef. The patty is halved, smashed and browned on both sides, giving it crunch as well as a juiciness that infuses the lightly toasted, locally made buns. 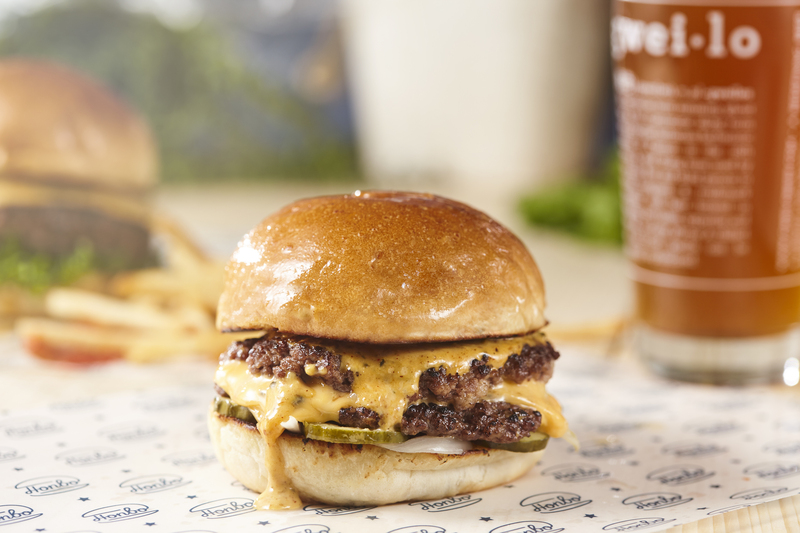 True to founder Ben Li’s Californian roots, one half of the patty is cooked in yellow mustard and the whole thing is topped with tomatoes, pickles, red onion, house-made dressing and two slices of the incomparable American cheese. What sends this experience over the top, however, is the soda-like cocktail that pairs with the burger. The Cherry Soda ($120) replicates the flavours of the fizzy drinks you would usually get at a greasy spoon in the US, but in grown-up form with tangy cherry Heering and full-bodied Bulleit bourbon. 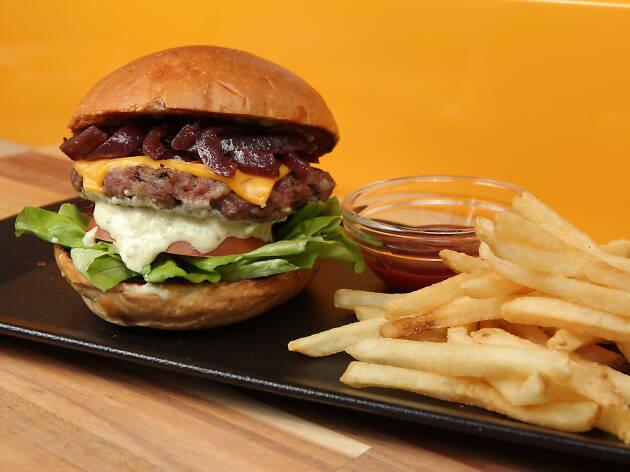 This popular burger joint in Sai Wan offers a gourmet twist. Think: truffle, foie gras, garlic thyme shrimp, aged gruyere, stilton and more. Not to mention grass-fed Aussie angus and British beef patties fried in beef bone marrow. 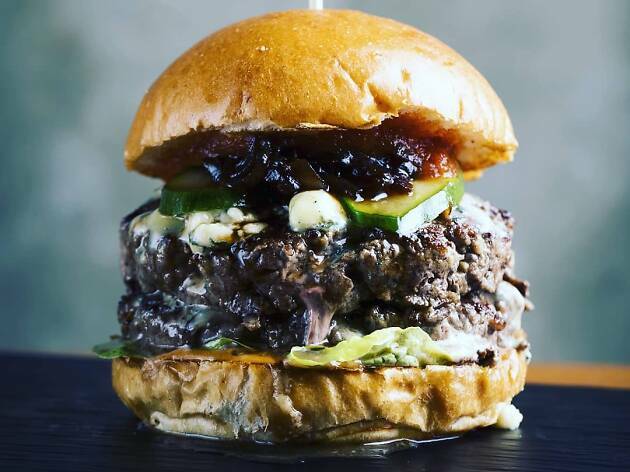 For a change-up, try the Black Daddy ($160), a beef burger topped with house-made pickles and English black pudding. But while beef might be the obvious choice, don’t count out the chicken carbonara burger ($150). A tender chicken breast comes loaded with Japanese egg, taleggio, smoked paprika and smoked pancetta cream sauce. It’s a messy but delicious affair. This restaurant has a well-deserved reputation for excellence when it comes to gourmet meats. 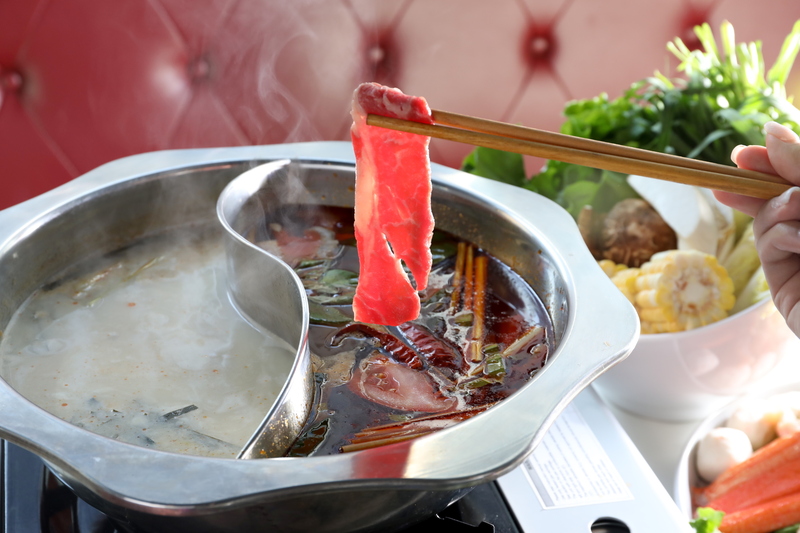 But it goes beyond perfect cuts of black angus rib eye and beef tenderloin. That reputation even bleeds into its burgers. The team here infuses its signature burger with some of its homemade dry-aged beef. 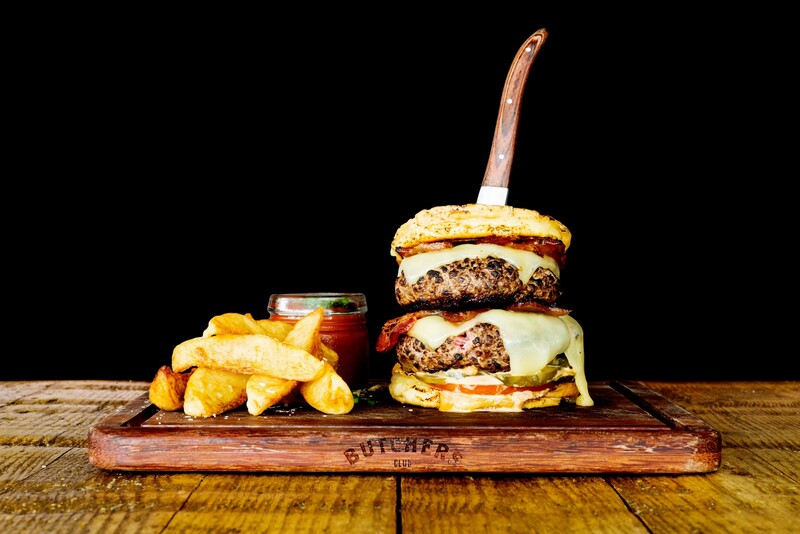 We’re talking a mix of chuck and brisket from 45-day dry-aged Rubia Gallega beef, topped with melted cheddar, pickles, caramelised onions and a touch of jalapeño-laced sauce. 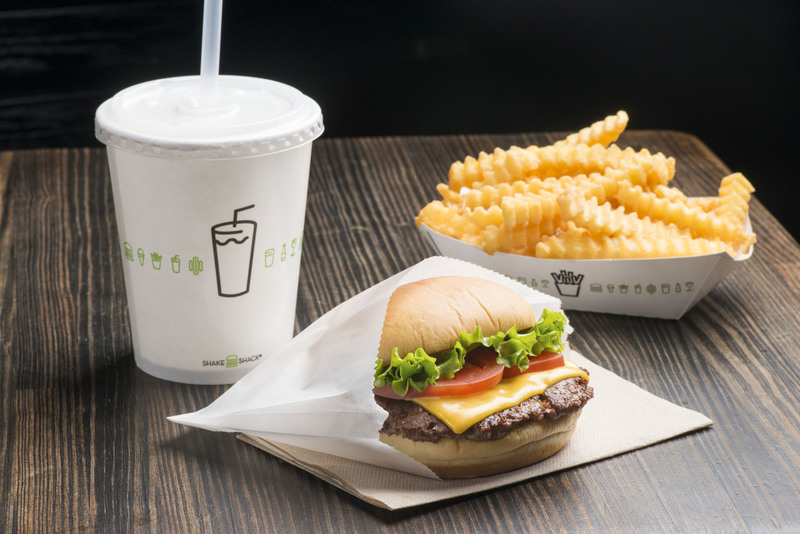 Last year, Shake Shack finally landed in Hong Kong. This much-loved US chain with over 50 locations around the world is a total knock-out, rising high above any fast food chain stereotypes. 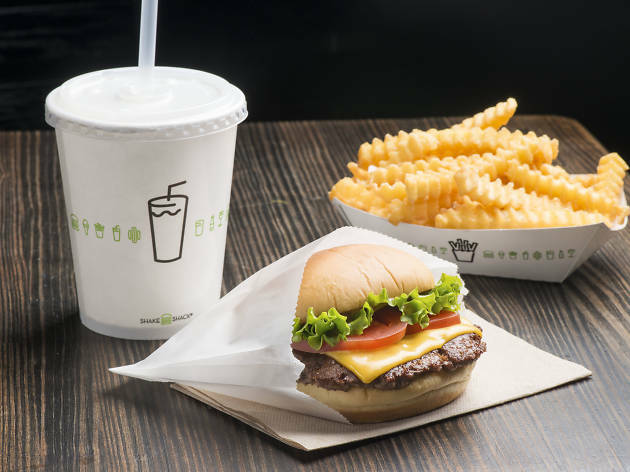 If you have (somehow) never experienced Shake Shack’s angus beef burgers in all their greasy glory, you can make your pilgrimage to the shops in IFC or Pacific Place and start with the original. But if you’re a regular, you might prefer to order one of the ‘secret’ off-menu items, such as the peanut butter burger. 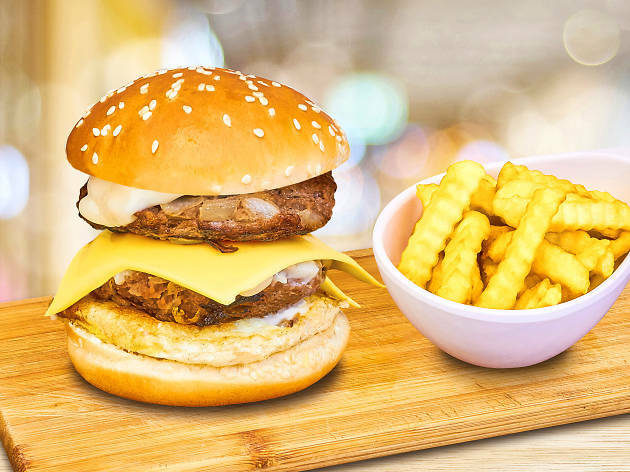 With a legacy spanning over half a century, this Hong Kong-style burger joint is keeping patrons in Hung Hom happy with its nostalgia-inducing bites. 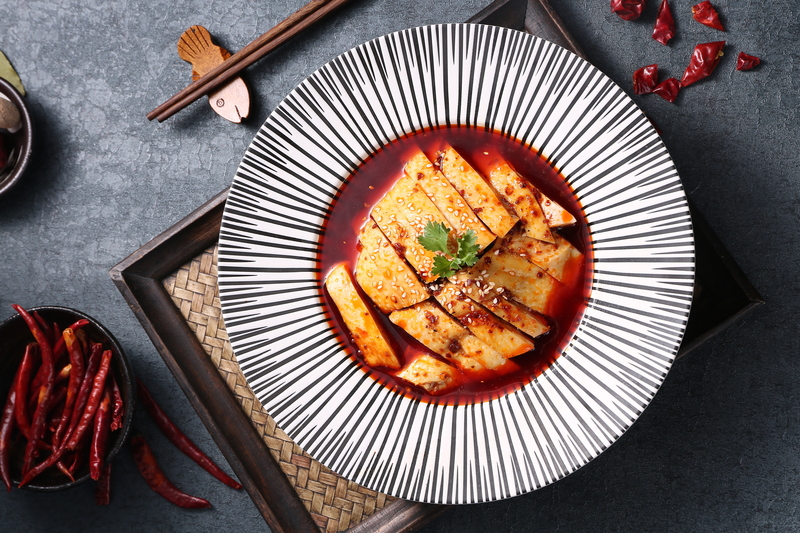 Sze Sun Hamburger is a sort of spin-off launched by a scion of the family that gave us the now defunct Si Sun Fast Food. 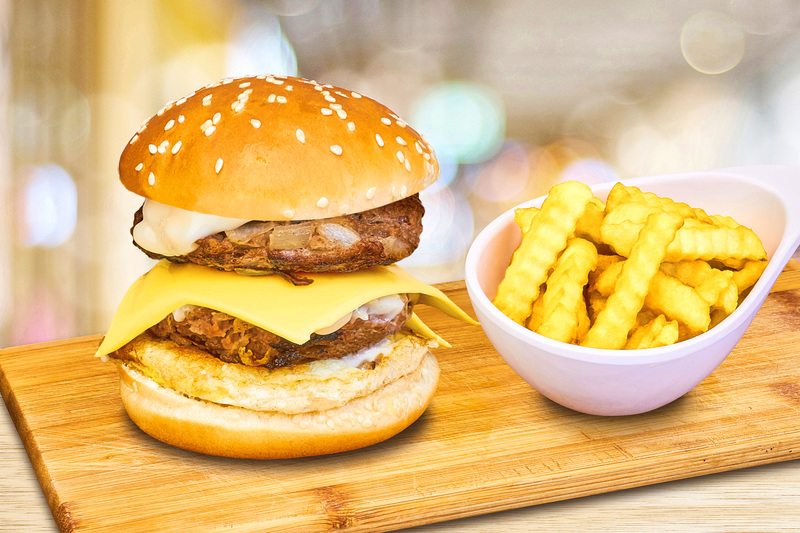 Its burgers are made the same as the original: prepared with fresh beef and a special white sauce whipped up from a family recipe that has been passed down the generational ladder. Still hungry? Order the fried chicken thigh and crinkly French fries.